As the cold winter winds descend upon our city, we are provided with an opportunity to reflect upon how our forefathers kept warm. The Glessners’ home, known for its modern design by H. H. Richardson, was also modern in terms of the technology it employed, including, for its day, a state-of-the-art heating system. It is appropriate to reflect back upon the historic heating system of the house at this time, as the museum is currently having a 21st century state-of-the-art geothermal system installed. For the past four weeks, crews have been working to dig two 500 wells in the courtyard, and to connect those wells to an elaborate system which will provide not only heating, but for the first time in the house, cooling and humidity control. Extensive new insulated duct work is being installed to maximize the efficiency of the system and to take into account condensation that could occur during the cooling season. This initial phase of the system will handle the first zone in the building which includes the parlor, dining room, kitchen wing, and adjacent servants’ hallways. As funds become available, seven additional zones will be brought on line, ultimately resulting in the entire building being services by the geothermal system. For more information on the new system being installed, read the current article at the Historecycle website. Although little remains of the original heating system other than register covers, the museum is fortunate to possess the “Specifications for a combined direct and indirect radiating, two pipe, low pressure, gravity return Steam Heating and Ventilating Apparatus for dwelling for Mr. J. J. Glessner, 18th St. and Prairie Ave.” prepared in 1886 by Richardson’s office. The handwritten document is nine pages long, and details every component of the system from the boiler to the trimmings, and ducts to registers. The system was a combination of direct and indirect radiation. With direct radiation, the furnace would heat the hot water and the gravity system would then take the heated water to the eventual destination (hot water is lighter than cold water). Rooms heated with radiators included the school room (shown above – the radiator is behind the large brass cover on the north wall); the butler’s pantry, and the first floor toilet room; and three male servants’ bedrooms on the second floor over the stable. The radiator in the butler’s pantry served the double purpose of radiation and plate warmer. The plate warmer closet was lined with tin and furnished with perforated, adjustable galvanized iron shelves. The balance of the house was heated by indirect radiation or what is known as convection (gravity flow system). It’s the same as in the hot water system except the air is being heated which will then flow through the supply vents and return to the furnace through cold air return vents usually placed near the ceiling. This system was used on the first floor in the parlor, dining room, living hall, library, bedroom, two dressing rooms and bath room. On the second floor there were vents in the four bedrooms, two dressing rooms, bathroom, hall, corridors, servants’ bathroom and conservatory. There was also a vent in the carriage room on the first floor of the Coach House. 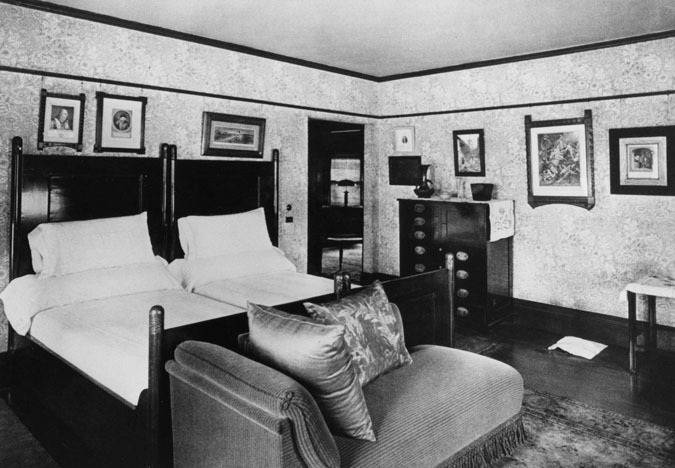 It is interesting to note that in historic photos, the registers are frequently covered over with a piece of light fabric, possibly to cut down on dust and soot (note the floor register in the image of the corner guestroom below). The indirection radiation was of cast iron, with coils suspended from the basement ceiling by heavy wrought iron hangers. A portion of one of these units remains in place on the ceiling of the ramp leading to the cellar under the coach house (shown below). A gravity system does not provide the same level of heat that we are accustomed to today with forced air systems. 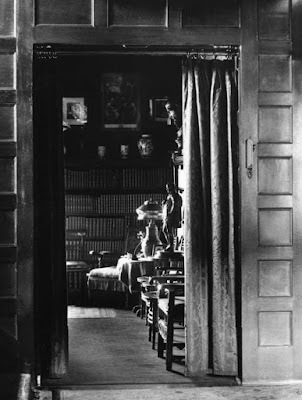 As such, the fireplaces throughout the house were still an important part of keeping the house comfortable, and portieres and pocket doors would be used to contain the heat in the occupied rooms. John Glessner noted that in the dead of winter, it was hard to maintain a temperature in the house above 60 degrees. As such, some years after the original installation, radiators were added to a number of the rooms. 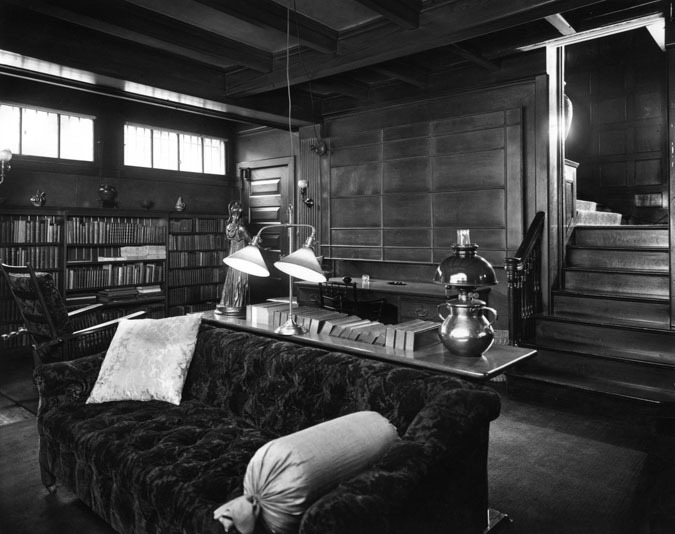 The heating system was controlled by a thermostat mounted to the oak paneling in the main hall immediately to the right of the doorway leading into the library (visible in the photos above). That thermostat was removed many years ago but a historic replacement was installed early this month. That thermostat (shown above) was manufactured by the Chicago Heat Regulator Company, organized in 1904. Although not identical to the original, it is quite similar, and reminds visitors that there was, in fact, a central heating system in the house when it was completed in 1887. The Glessner house system was designed and installed by Frederic Tudor, a prominent Boston sanitary engineer and expert in ventilation. Tudor, who maintained a Chicago office at 273 Dearborn Street, submitted a proposal for the work in July 1886 with revisions made at the architect’s request the following month. Tudor was paid a total of $4,035.02 for labor and materials. Frederic Tudor, the "Ice King"
Tudor was born in 1845, the eldest son of Frederic Tudor, the “Ice King.” The senior Frederic made his fortune harvesting fresh water ice in Massachusetts and shipping it around the world to places as far away as India. The idea came to him after a trip to the Caribbean, and the first successful shipment of ice was sent to Martinique in 1806. 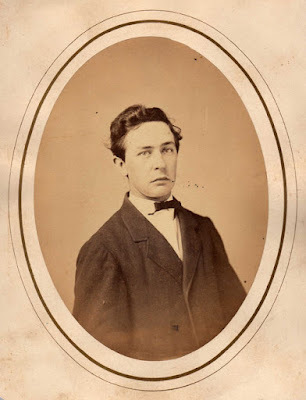 Frederic Tudor, the son, as a member of a Boston Brahmin family, attended Harvard College and was a member of one of the first graduating classes at St. Paul’s School in Concord, New Hampshire. 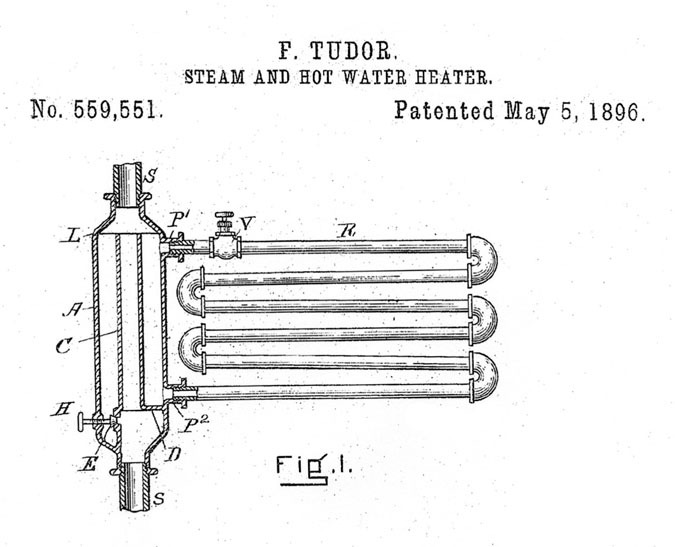 Tudor received several patents for his innovations, and was well-known and respected both in the United States and Europe. Not surprisingly, he had worked on a number of earlier buildings by H. H. Richardson including the New York State Capitol at Albany, Sever Hall at Harvard, the Cincinnati Chamber of Commerce, and the Allegheny County Courthouse in Pittsburgh, Pennsylvania. 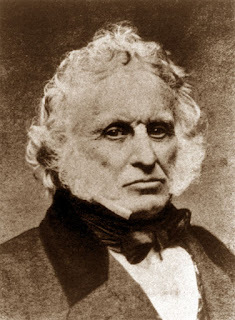 “Today is the anniversary of the birth of Frederic Tudor, sanitary-engineer and expert, well known to architects and civil-engineers through the United States and Europe, in whose death this community met with great loss. Mr. Tudor was a pioneer in ventilation and sanitation of dwelling-houses and public buildings, an occupation in which he sacrificed his time, his health and his fortune. “Some of his best work was shown in the Cancer Hospital and the Metropolitan Opera House in New York City; the Capitol at Albany; the Walker Building of the Massachusetts Institute of Technology of this city. All these buildings have long been noted for their practically perfect systems of ventilation and heating. The Cancer Hospital and Metropolitan Opera House are ventilated by essentially the same system – the former being acknowledged to be the most perfectly ventilated hospital in the world. “When the project of building a new Boston Public Library was decided upon, Mr. Tudor was called in to draw up plans for the heating and ventilation. On the opening night of the Library the hundreds of people who were present discovered that, although the thermometer outside registered nearly zero, the temperature and circulation of air in the building were perfect. Expressions of praise were heard on all sides, and on the following day articles appeared in the daily press, complimenting Mr. Tudor upon the success of his plans and system. 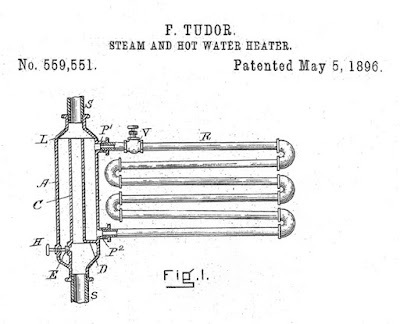 “The vapor-system of heating, so-called, was invented by Mr. Tudor, and is to-day used extensively throughout Germany and France, sanitary-engineers in those countries giving him entire credit as its originator. Only with the last two or three years have American engineers properly appreciated the value of economy of operation as revealed in Mr. Tudor’s system. It is not surprising that Richardson and the Glessners would have chosen Frederic Tudor, clearly a leader in his field, for the design and installation of the modern heating system to be installed in their modern house. The Glessners celebrated Christmas in 1915 by hosting a dinner for 24 people at 1:00pm on Christmas Day. Although the menu served was not recorded, the Glessner journal (by this time being written by John Glessner), and Frances Glessner’s dinner book both list the guests who were present. Their dining room table was designed to accommodate 18; Frances Glessner noted, however, that the carpenter could extend the table to seat 24 when needed. 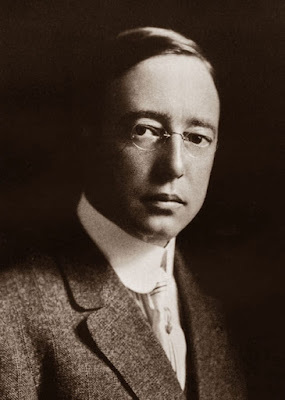 Mr. and Mrs. Frederick Stock and daughter Vera – Stock was appointed music director of the Theodore Thomas Orchestra (later the Chicago Symphony) in 1905, following the death of founding director Theodore Thomas. Stock first came to the symphony in 1895 as a violist and was promoted to assistant conductor in 1899. The Stocks were intimate friends, and in 1907, Stock had given a large portrait of himself to the Glessners for Christmas, inscribing it “to my best friends” (shown above). Mr. and Mrs. Frederick J. Wessels – Wessels was the business manager of the Chicago Symphony Orchestra and the treasurer of The Orchestral Association. 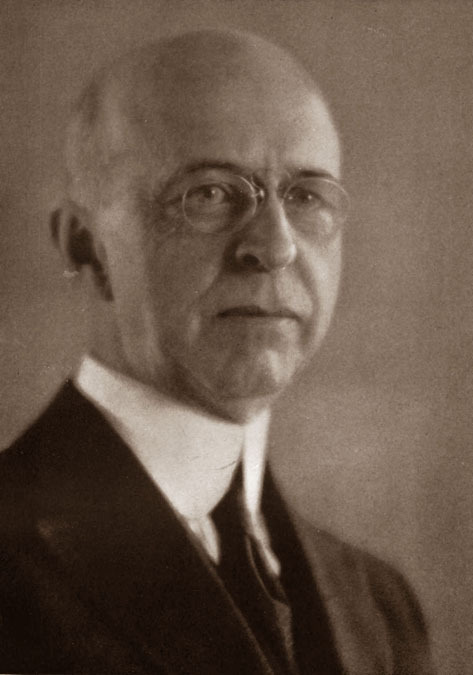 Mr. and Mrs. Henry E. Voegeli – Voegeli was the assistant manager of the Chicago Symphony Orchestra. The Voegelis and the Wessels were both frequent guests at the Glessners’ summer estate, The Rocks, in New Hampshire. Mr. and Mrs. Enrico Tramonti – Tramonti was appointed principal harpist with the Symphony Orchestra in February 1902, continuing in that position for 25 years. He and his wife Juliette were close friends of the Glessners, frequently spending holidays with the family. (See blog posting dated September 30, 2013 for more information). Mr. Frank T. Baird – Baird was a prominent vocal teacher and taught in Chicago for over forty years, in addition to serving as the long time organist at Third Presbyterian Church. He was the accompanist for a number of well-known singers including Adelina Patti, Clara Louise Kellogg, and Annie Louise Carey. Among his many students was the prominent actress and singer Lillian Russell. Mr. and Mrs. Hermann von Holst – Von Holst was a prominent architect best remembered today for taking over Frank Lloyd Wright’s architectural practice when Wright left for Europe in 1909. Von Holst designed a number of buildings at the Glessners’ summer estate, The Rocks, including the home for their son George, which was von Holst’s first commission after opening his own office. (See blog posting dated July 2, 2012 for more information). Mr. and Mrs. Wilhelm Bernhard – Bernhard was also an architect, a graduate of the polytechnic academy in Dresden. He specialized in city planning and in 1913 won the first prize in the City Club competition for his layout of a model quarter section of land in Chicago. Mrs. Nathalie Sieboth Kennedy – Kennedy had served as the reader for Frances Glessner’s Monday Morning Reading Class since the fall of 1902. A lecturer and tutor, she served as president of The Fortnightly from 1910 to 1912, and was the daughter of Joseph Sieboth, a pupil of Felix Mendelssohn. 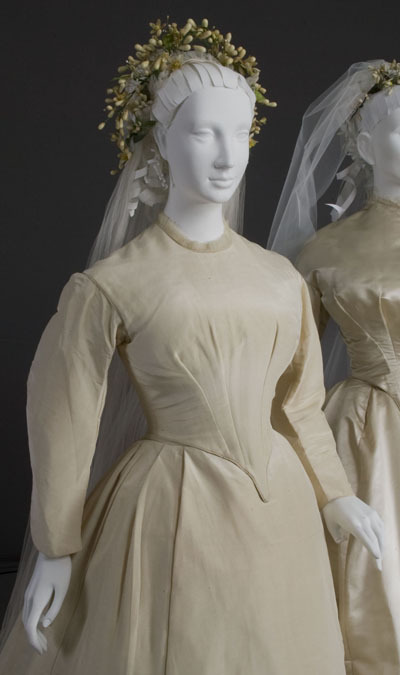 Her late husband, Prof. Horace Milton Kennedy of Rensselaer Polytechnic Institute in Troy, New York, had died in 1885. Miss Nathalie Gookin – 16 year old niece of Nathalie Kennedy. Her father, Frederick William Gookin, also a good friend of the Glessners, was the long time curator of Japanese prints at the Art Institute of Chicago. The Mouquet was orchestrated and performed by Alfred Quensel, principal flutist with the CSO from 1896 to 1926. It was the first performance of this piece in Chicago. The Dvořák Symphony No. 2 is now listed as Symphony No. 7. John Quincy Adams Ward was one of the best known American sculptors of the last half of the 19th century. He was the first cousin of Frances Glessner (through her father James Macbeth), and the Glessners owned and displayed several of his pieces in their Prairie Avenue home. A small exhibit about Ward, including a mantel clock featuring a copy of his first significant work, The Indian Hunter, will be on display in the museum visitor’s center through March 20, 2016. Ward was born in 1830 in Urbana, Ohio, in the house constructed by his grandfather (and town founder), Col. William Ward a decade earlier. (Frances Macbeth Glessner was born in Urbana in 1848). After living with his sister in Brooklyn, New York and training under the well-established sculptor Henry Kirke Brown, he relocated to Washington, D.C. in 1857, creating portrait busts of men in public life. In 1861, he set up a studio in New York City. 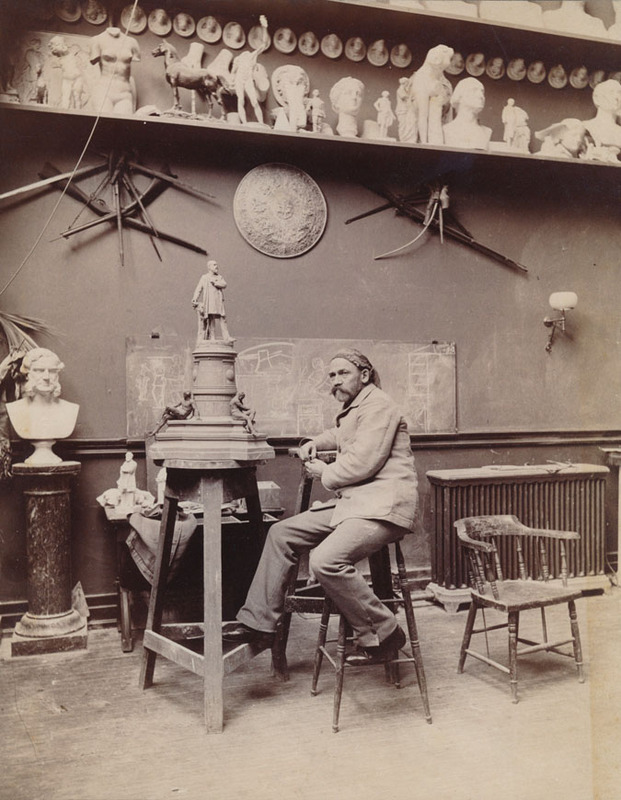 His statuette, The Indian Hunter, was first exhibited in 1859 at both the Washington Art Association and the Pennsylvania Academy of the Fine Arts. In 1862, he displayed the statuette again at the annual spring exhibition of the National Academy of Design. 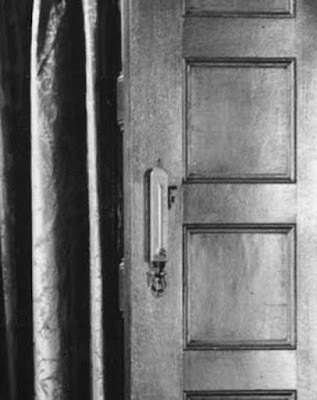 It was enthusiastically received, and he was elected an Associate of the Academy (and later served as President). Ward enlarged his statuette into a life-size plaster cast after traveling to the Dakotas to make additional studies of Native Americans in their natural habitat. Displayed in the fall of 1865, his depiction of an American Indian was said to be “amongst the most authentic aboriginal physiognomical types extant in plastic art, so careful in detail are they executed.” After receiving private financial support from a group of 23 prominent artists and art patrons, Ward had the piece cast in bronze by the founder L. A. Amouroux at a cost of $10,000. It was then sent to the Paris Exposition in 1867. 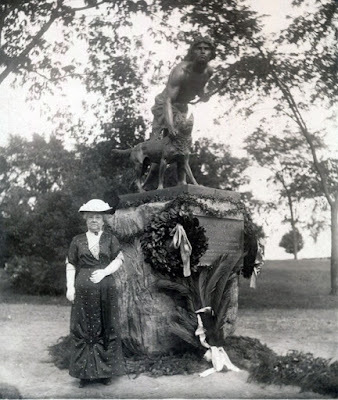 Upon its return to the U.S., the original underwriters of the project presented the statue to the city of New York for erection in Central Park. Unveiled in February 1869, it was the first piece of American sculpture to be placed in the eleven-year-old park. Sixteen copies of the statuette were eventually made, two plaster and fourteen bronze, of which a bronze was purchased by the Glessners for their Prairie Avenue home for display on the mantel in their master bedroom. Additional life-size statues were made for Cooperstown, New York (unveiled 1898) and Buffalo, New York (unveiled 1926). 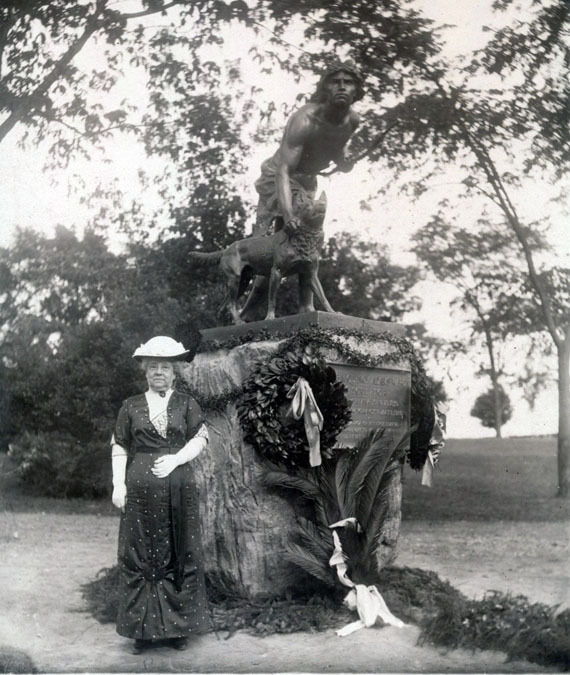 A third statue was ordered by his Ward’s widow and unveiled at his grave in Oak Dale Cemetery in Urbana, Ohio in June 1914. In 1882, Ward moved to a new larger studio on 52nd Street designed by his friend, the architect Richard Morris Hunt, who collaborated with him on many projects. 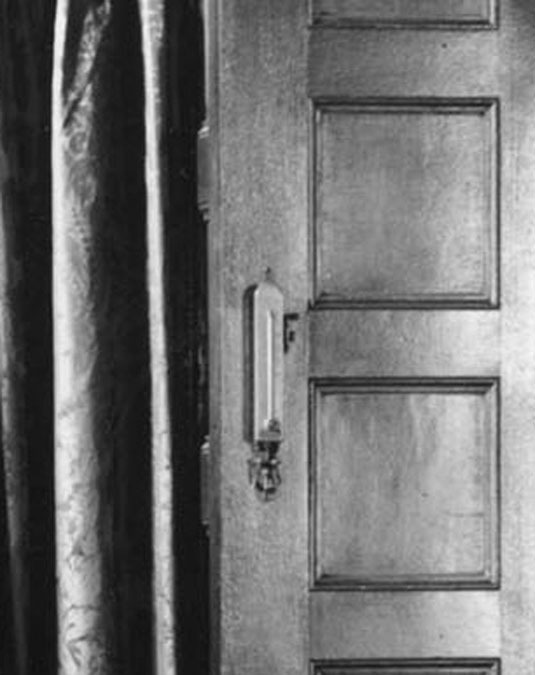 He died at his home in New York City on May 1, 1910. The museum is grateful to Black Point Estate in Lake Geneva, Wisconsin for loaning their mantel clock to our exhibit. The Estate, constructed in 1888 for Chicago brewer Conrap Seipp, is an incredibly well-preserved example of the large summer “cottages” constructed for Chicago’s business leaders along the shore of Lake Geneva in the late 19th century. The site is operated by the Wisconsin Historical Society and is open seasonally from May through October. For more information, visit blackpointestate.wisconsinhistory.org. 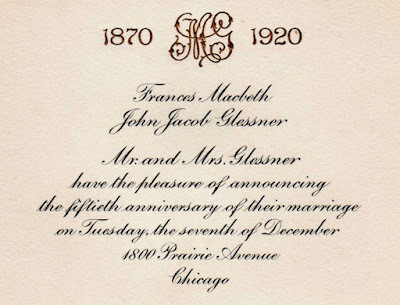 On December 7, 1870, exactly 145 years ago today, Frances Macbeth and John Jacob Glessner were united in marriage. The event marked the end of a seven year courtship and the beginning of a loving marriage that lasted nearly 62 years. The home of Frances’ parents, James and Nancy Macbeth, stood at the northeast corner of Limestone and Pleasant Streets in Springfield, Ohio, and it was here that Frances had grown to adulthood. 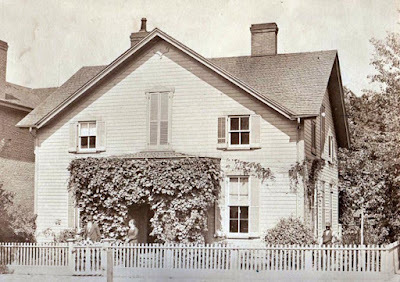 In 1863, John Glessner came into this home, being run as a boarding house by Mrs. Macbeth, and was first introduced to his future bride, who at the time was 15 years old. He “continued living with these gentle folks” until the time of his marriage. (As an interesting side note – Rev. 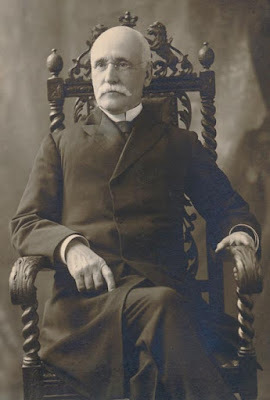 Mowry, pastor of the Second Presbyterian Church in Springfield, also performed the wedding of the Glessners’ daughter Frances when she wed Blewett Lee in February 1898, the ceremony taking place in the parlor of 1800 S. Prairie Avenue). That decision revolved around John Glessner’s success in business which began in 1863 when he went to work for a farm machinery concern in Springfield known as Warder & Child. Three years later, the company was reorganized as Warder, Mitchell & Company, and John Glessner was taken in as a junior partner. In 1870, Glessner approached Mr. Warder and asked that he be allowed to go to Chicago and take charge of the firm’s business there, with the understanding that he would have “complete control.” With those arrangements in place, and his promotion to a vice president, he and Frances Macbeth made arrangements to be married. About thirty guests were present for the ceremony, including members of both the Glessner and Macbeth families, business associates of John Glessner, and a small number of friends. 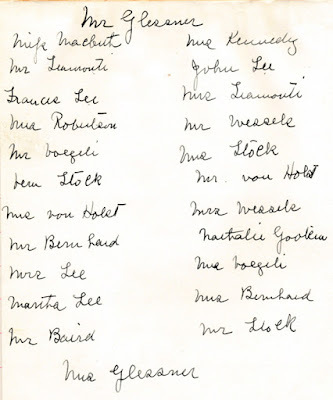 Frances Glessner listed the gifts received at the wedding, the most substantial being a check in the amount of $100.00 received from John Glessner’s parents, along with a Bible. Most of the other gifts were various items of silver including flatware, butter dish, knife, bell, caster, water pitcher, cake basket, salt cellars, tea tray, sugar bowl, berry dish, and various specialized utensils for preserves, salad, pickles, sugar, and ice cream. Mr. and Mrs. Benjamin Warder gave the couple a clock, which is still displayed on the mantel of the master bedroom. At 5:00pm, the couple departed Springfield “in a rain storm” and went to Zanesville, Ohio where they stayed for about a week with John Glessner’s parents, Jacob and Mary Glessner. 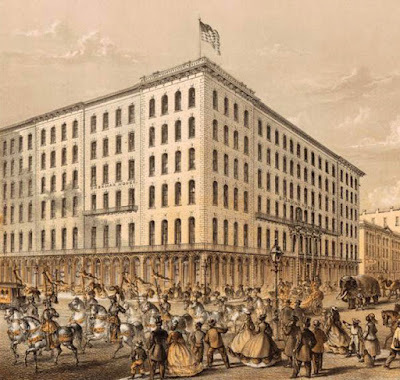 On December 15, 1870, the couple arrived in Chicago and spent their first week residing at the Sherman House, located at the northwest corner of Clark and Randolph Streets. After several days staying with friends, they moved into their first home at 69 Park Avenue on December 28th. 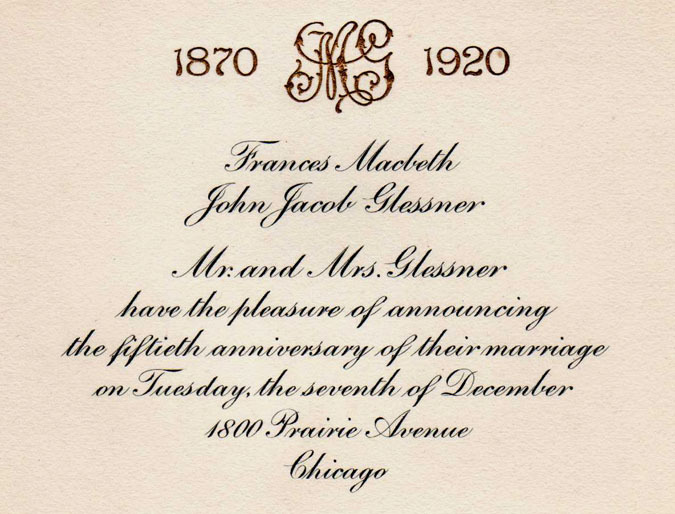 In 1920, the Glessners celebrated their 50th wedding anniversary, although in typically humble style, they did not announce the event in advance, as they felt it was merely a request for gifts. Instead they hosted a debut tea for their granddaughter Frances Glessner, who celebrated her 20th birthday that same day. It was only after guests had arrived that they learned the date was also the Glessners’ golden wedding anniversary. Sixteen of the guests joined the family and remained for dinner including Mr. and Mrs. Cyrus McCormick, CSO music director Frederick Stock and wife, and Art Institute president Charles Hutchinson and wife.